My Fiancè and I are HUGE fans of The Barefoot Contessa from the food network channel. 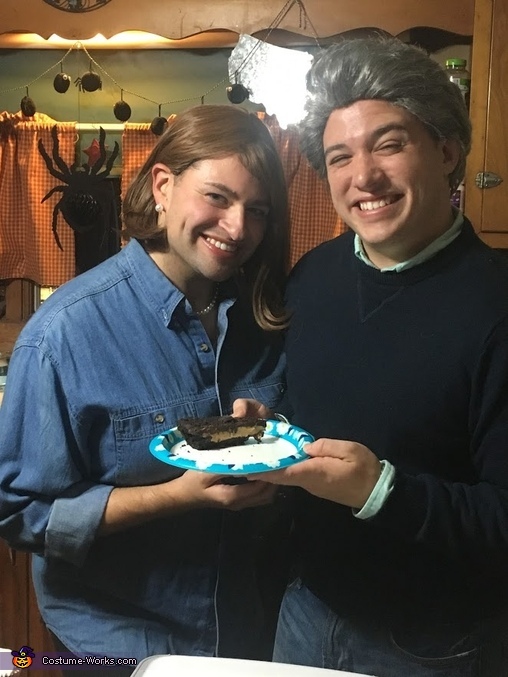 It only seemed natural for us to go as Ina and her husband Jeffrey for halloween this year! I ordered us both wigs online. Bob, my Fiancè, wore my mothers pearl, bram and leggings. I jsut wore clothes I already had! "How easy is that?"